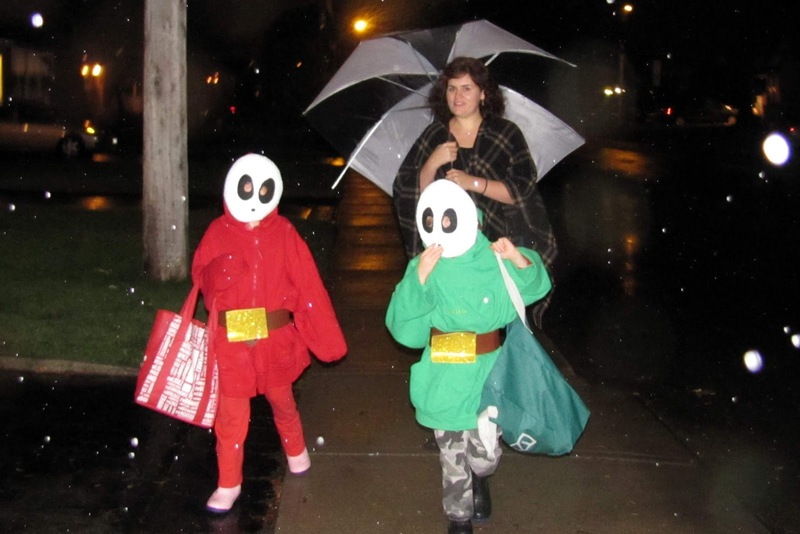 So, both kids, decided this year for halloween they wanted to be "Shy Guy". 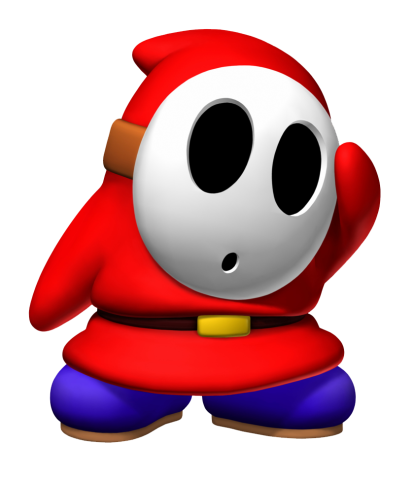 Shy Guy is a fairly minor character in various Mario Bros. video games (the main one they've been seeing him in lately is Mario Party 9). It's a bit weird how popular Shy Guy seems to be, in general. I've seen photos of people having the little fellow tattooed onto themselves, even. He is actually one of the bad guys (I believe he started out, or may still be, merely a minion of one of the main bad guy characters); but a particularly cute bad guy, I suppose, with his mysterious big-eyed bewildered expression, and cozy looking hoodie. Shy guys are most seen in a red hoodie, but other colours are possible when there are multiple Shy Guys around. Anyhow: mommy had the idea of making a paper mache mask shape on a balloon. The kids, with a bit of guidance, then painted on the features. We got a couple of cheap big second hand hoodies of appropriate colours. We fashioned the belts and straps from various dollar store materials. The kids were pleased with how it all worked out. They took the costumes to school for the costume parade, and got a fair amount of attention out of it. 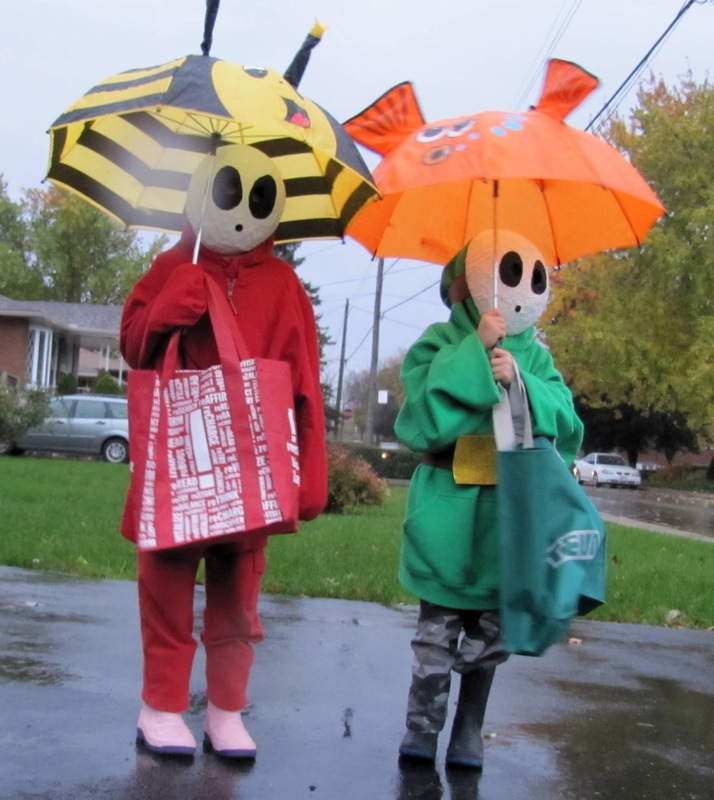 Then the masks even stood up to the light rain of the evening trick-or-treating.